When I was a kid I was gifted a vintage slot car track. 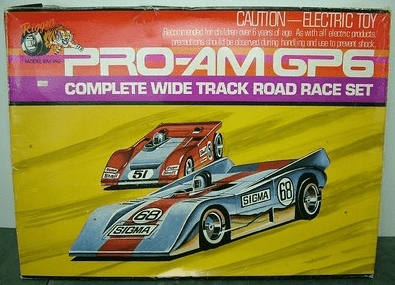 Its was an early 70’s Riggen brand 1/32 scale set : two cars, two controllers, and a decent amount of track. I still have it and I occasionally pull it out and play with it. Last weekend the weather was pretty nasty outside so I decided to have some fun with it. 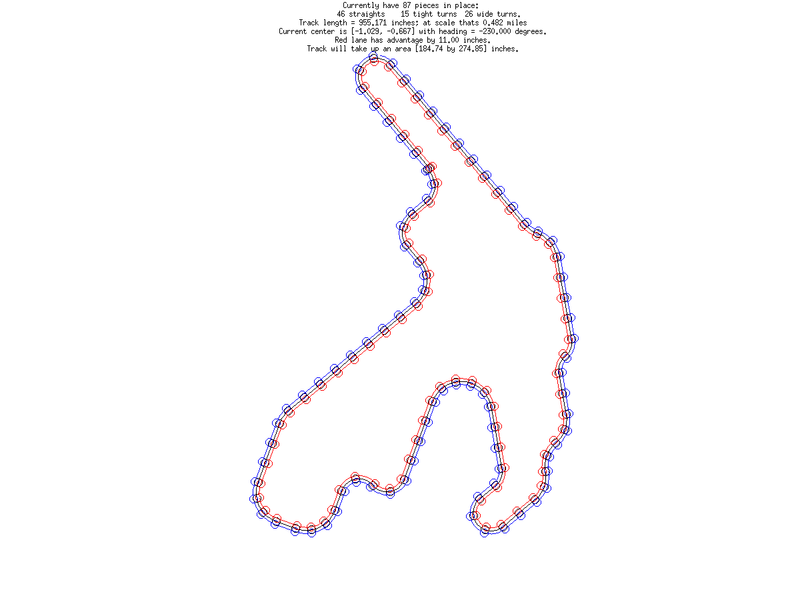 I thought it would be cool to make a little MATLAB app that would let me create and edit track layouts before I put everything together. This is a little CLI to build/edit/save track. You can add any of the standard Riggen track pieces. You can also insert/remove pieces from the middle of the track. You can also rotate the entire track if you are trying to mimic a real track. My goal is to be able to recreate some of my favorite real tracks, like Spa-Francorchamps. Lastly, you can save your tracks to .png files. The editor displays total lane distance and relative lane lengths to see which lane has (if any) the advantage. It will also keep track of how many pieces you need to build your track, and how big of an area you’ll need to lay it all out in. If you’d like to use this editor (or just want to look at some pretty MATLAB code), check out my github repo. I was impressed with myself and didn’t think anybody would ever use something like this, until I came across this full-on track editor. And I thought I had some spare time on my hands.